Closes March 17, 2019 at QEPCCC, 2302 Bridge Rd. Visit the QEPCCC page for current hours. Closed September 30, 2018 at Erchless Estate, 8 Navy Street. 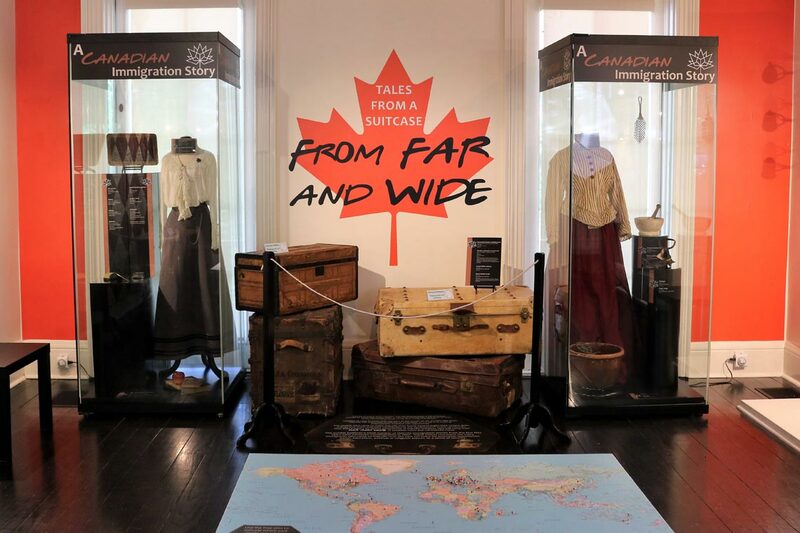 Using the museum’s suitcase and costume collection, as well as archival documentation, this exhibit shared stories of immigration from over 150 years as a collective history of becoming Canadian. The people who came to make Oakville their home brought their unique skills, energy and vision and have contributed to the development of the community. This exhibit explored a small number of Oakville immigration stories from the first fifty years after Canadian Confederation in 1867. A Canadian story of Oakville voices! Representing different cultures and traditions from around the world, Oakville residents share what being Canadian means to them. 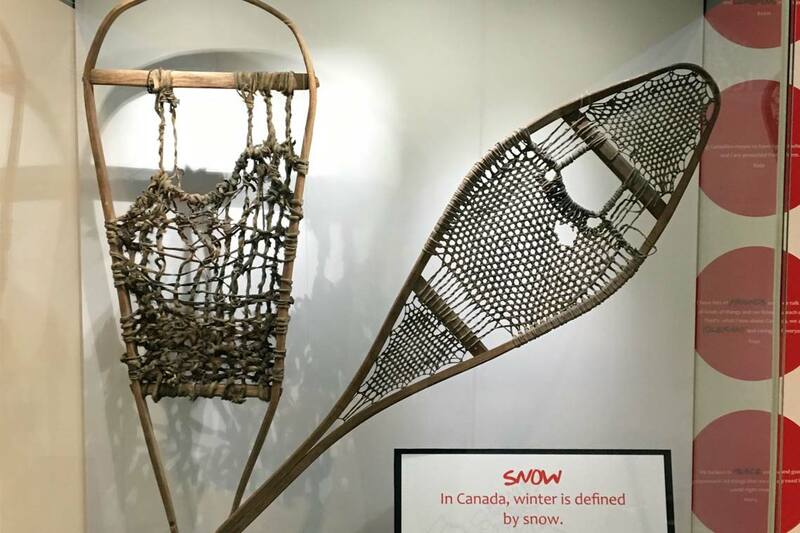 This exhibition uses museum artifacts to explore some of Canada’s most iconic symbols. Symbols that tell the story of our nation, our people, environment, history and traditions. Please note: This exhibit is on display at the Queen Elizabeth Park Community and Cultural Centre located at 2302 Bridge Road. 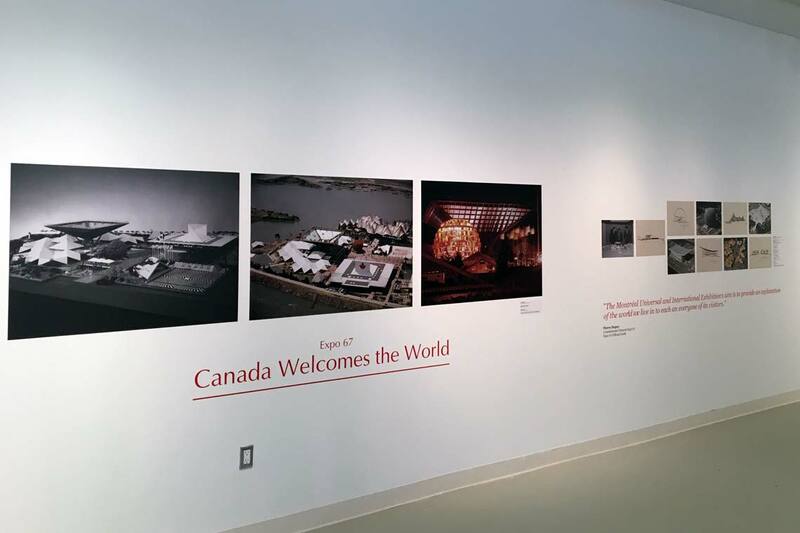 This exhibit recaptured the spirit of 1967 and looked at how Oakville celebrated Canada’s Centennial and how Expo ’67 was one of the greatest birthday parties in history. 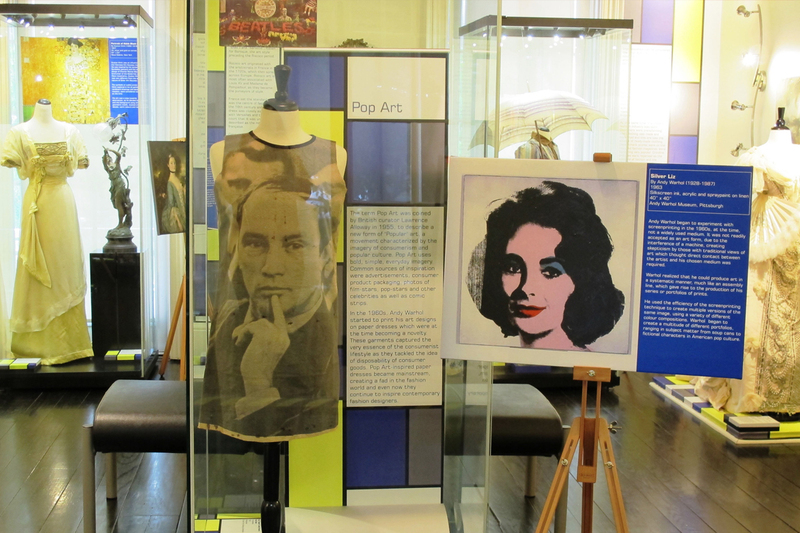 Through history, fashion design tracked and echoed trends in art. The developing aesthetics of artistic styles can be followed in the progression of fashion design. Visitors discovered how each garment on display has a particular relationship to the art of its time. 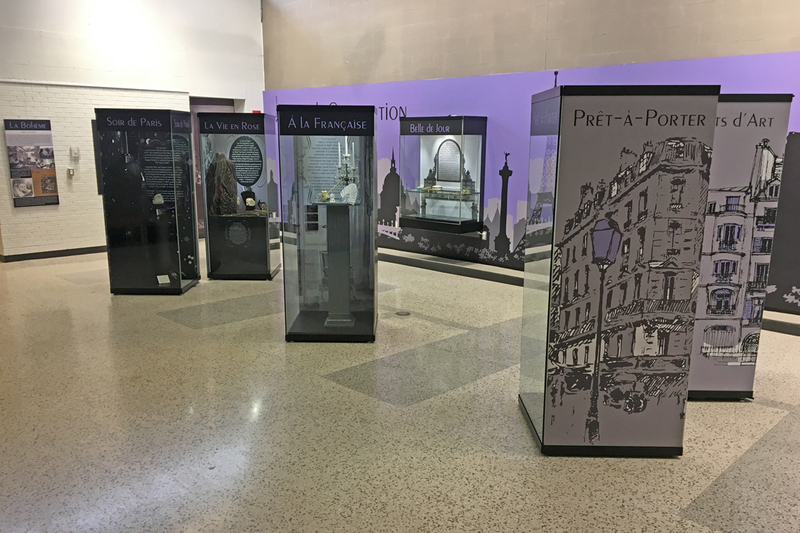 This exhibit featured an eclectic collection of travel artifacts including apparel, trunks, suitcases, photographs and memorabilia. From the ocean to the air, visitors experienced the golden age of travel. Closed April 3, 2016 at QEPCCC, museum space. Take a virtual tour of this exhibit on Google Maps. Hats can be such simple constructions or incredible works of sculpture. 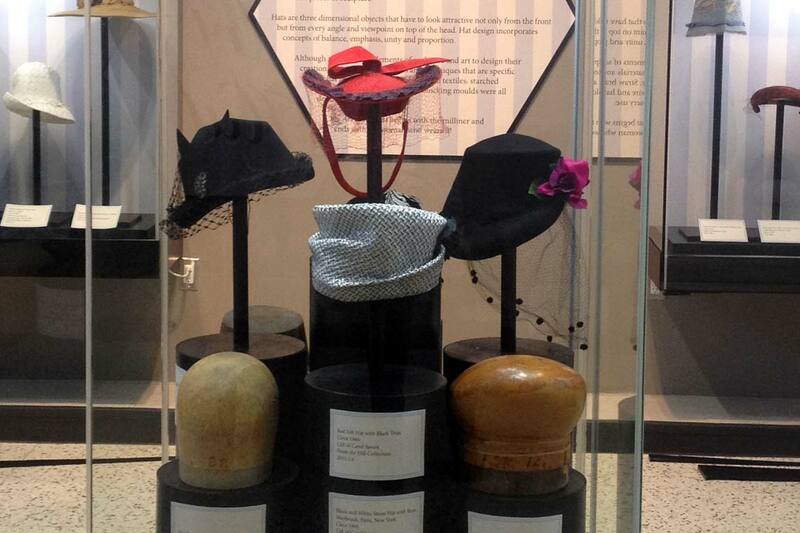 Hats from the Speir’s collection and the Museum’s permanent collection showcase the beauty, workmanship and history of millinery as both a craft and form of expression. 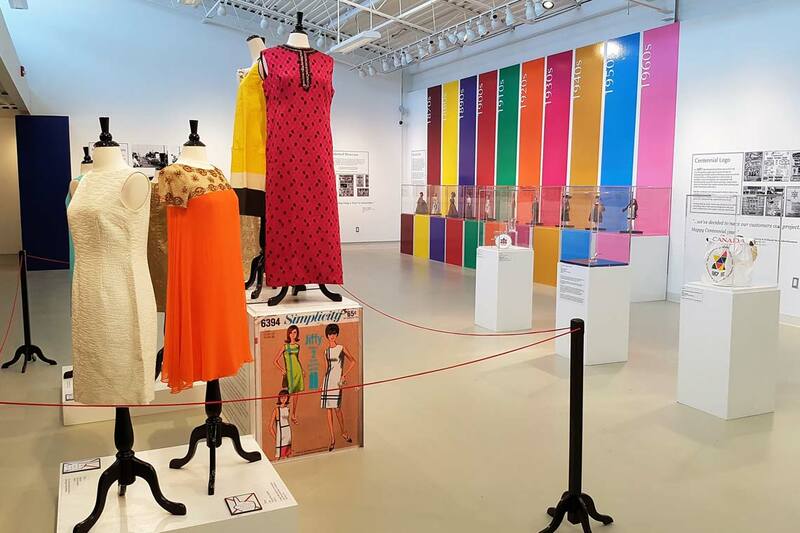 This exhibit offered an exciting view into the fashionable lives of Ontario women in the twentieth century. The homes within our community tell a rich story of Oakville’s past. The town's historic neighbourhoods offer meaning and understanding to the local area and its inhabitants. This exhibition helped residents and visitors understand and appreciate the art and science behind the architecture of Oakville’s neighbourhoods. Here come the brides! Drawing from the Oakville Museum's extensive costume collection, this exhibition explored centuries of fashion trends as each gown ultimately reflects the period in which it was worn. Water is life – and life in Oakville has always been tied to water. Exhibit visitors discovered the influence water had on Oakville’s beginnings, its settlement, its growth and how Oakville’s existence remains dependent on water. No one who went to the trenches of Europe in 1914 came back the same. They all saw horrors beyond imagination and many were wounded or lost their lives. What they all cared about most were their families and friends back home. Correspondence from the Great War is a powerful reminder that Canadians who served were not just soldiers, they were fathers, husbands, brothers, sons and friends. Each of these men had a distinct voice. This exhibit explores the Great War through the lives of two great Oakville friends. George Brock Chisholm and Hugh Gordon Munro enlisted together as Privates in the Canadian Expeditionary Forces (C.E.F.) on May 26, 1915. They joined the 15th Canadian Battalion, 48th Highlanders of Canada upon enlistment at the Military Camp, Niagara. After embarking for England on June 9 the men arrived in France on July 17, 1915. The 15th Battalion had approximately 1,000 Officers and men divided into 4 Companies. Private Chisholm was part of the Machine Gun Company and Private Munro was part of the Grenade Company. Chisholm and Munro had similar experiences in the 15th Battalion but with very different results. Since the Canadian Navy was established in 1910, over 300 Canadian Navy ships have been named for communities from coast to coast. H.M.C.S. Oakville was christened at Lakeside Park in Oakville on November 5, 1941. This Second World War flower class corvette, only visited its namesake port once, but it has enjoyed a very close connection with its community. This history is highlighted through images and artifacts which remind us of Oakville’s rich naval history. This spectacular costume exhibition followed the black dress from its origins as mourning wear to becoming the party colour of choice. Fifty rarely seen black dresses from the Oakville Museum’s extensive costume collection charted the course of this essential fashion item. Water is fun – and fun in Oakville has often been tied to water. This exhibit uncovered Oakville’s rich and interesting history with water sports. This exhibit featured the art and life of Juliet Chisholm Turney, the great-granddaughter of Oakville's founder, William Chisholm. Juliet led an extraordinary life. She was a creative and innovative woman whose affluent upbringing, various disciplines of study, professional training and work allowed her to travel the world exposing her to a broad range of ideas, cultures and human conditions. 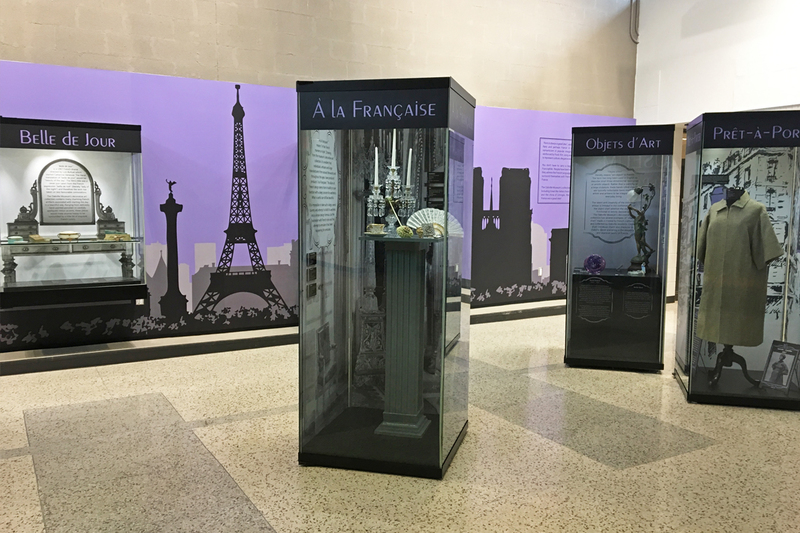 This exhibition introduced Juliet's art through paintings, drawings, sketches, illustrations and photographs from the Oakville Museum's Permanent Collection. The story of her life and artistic trajectory was told through her early paintings created in Paris, her book illustrations of a cat named 'Baba', her photojournalistic images of 1940s China and her detailed drawings of her home town, Oakville. This exhibition was a representation of her art from the 1920s to the 1950s: expressions and records of what she saw and felt. This tongue-in-cheek exhibit offered former bridesmaids of Oakville a change at revenge. 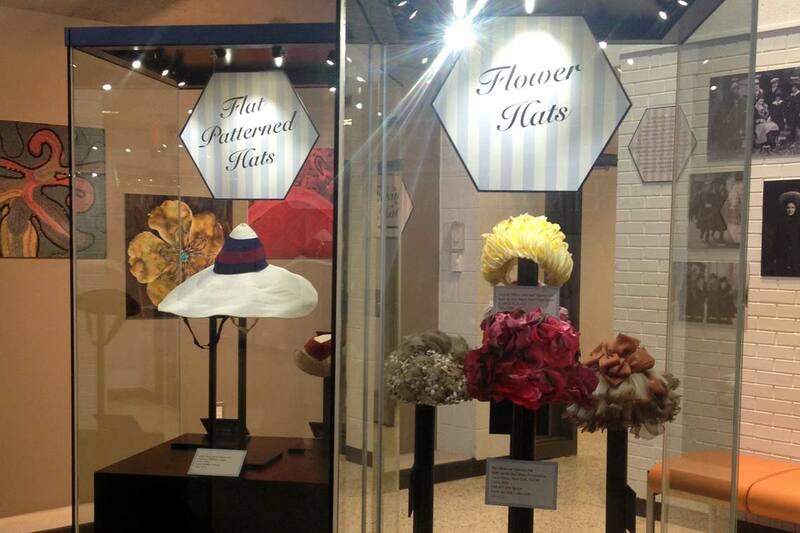 Visitors saw wedding fashion trends, triumphs and tragedies from the closets of Oakville. "We have all fallen victim to unflattering fashion trends, but bridesmaids have no choice. It's their job to wear exactly what the bride picks for them," explained Curator Carolyn Cross. "Let's be honest. Some dresses were only meant to be worn once, despite what a well-meaning bride may have told you." 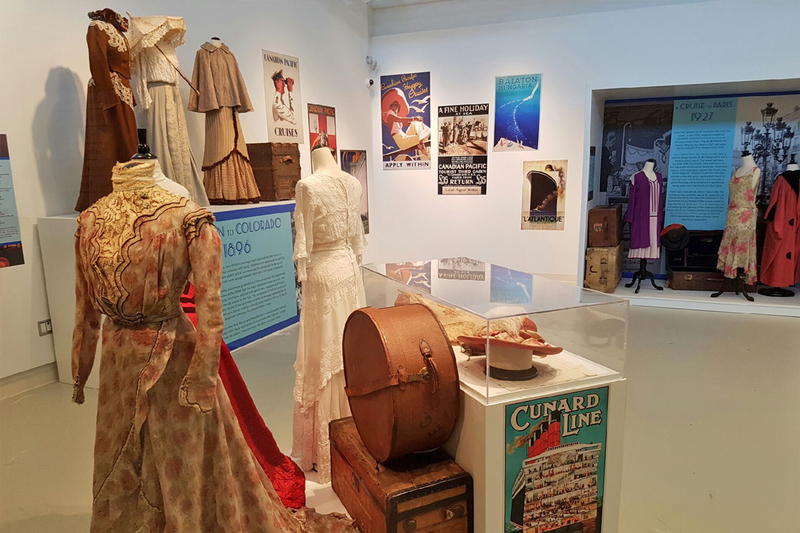 Although superficially fun, the exhibit included a significant research component that investigated and examined bridesmaid traditions and customs over the years as well as the meaning and rationale behind their role. The exhibit featured dresses from every era since 1940 and included gowns from a variety of civil and religious ceremonies. Children’s Wear: Can you Imagine? Hand sewn dresses, sweaters, coats, sailor suits, shoes and play clothes all tucked away and saved for history. Visitors got a glimpse of how children’s fashion trends have changed over time. This exhibition took a nostalgic look back at Queen Elizabeth Park High School, an institution that educated many of our community's citizens from 1975-2004. The building and memories associated with it remain key elements of the new centre's distinct character. 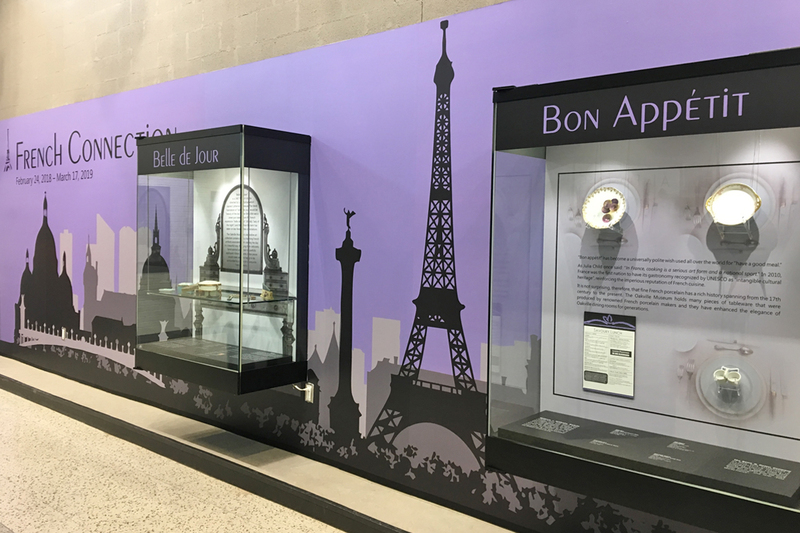 The exhibition featured photographs, uniforms, trophies, yearbooks, pins and stories that shaped the legacy of Queen Elizabeth Park High School. Shadows of War commemorated Canadian war efforts, with a focus on the participation of Oakville residents in the two World Wars. Featuring military uniforms and photographs, the exhibit paid homage to Oakville’s war veterans and community members who have lived under the shadows of war. Children could make a simple Remembrance wreath and take home Remembrance activity booklets. This exhibition was presented in partnership with guest curator Gordon Spragg and was the first major retrospective of work by the late Canadian painter, tracing Hillyard’s career as a 13-year-old artist, to her accomplished paintings produced over four decades later. 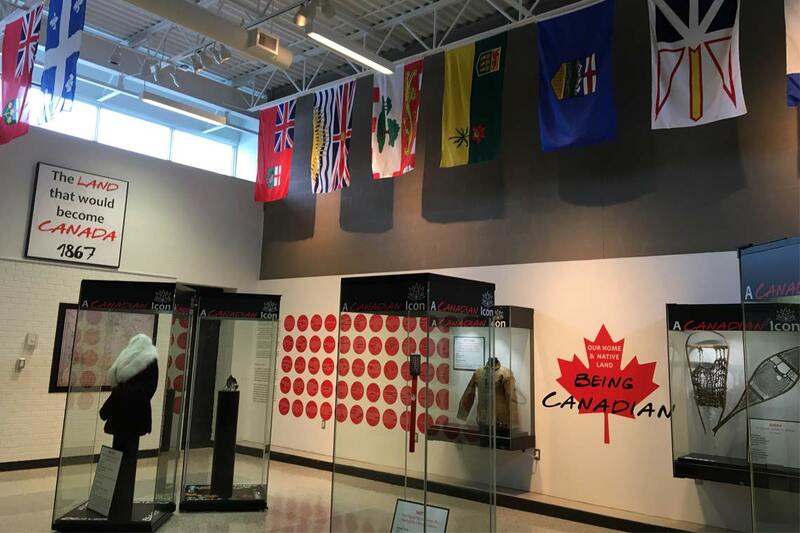 This exhibit celebrated the founding of scouting in Oakville in 1911 and honoured the movement that has provided countless adventures to thousands of local youth over the past 100 years. It featured historic scouting items including uniforms, badges, manuals and a genuine wolf’s head totem. Visitors could explore hands-on activities, listen to campfire stories and watch an interview with Roy Kelley, a scout in Oakville in the 1920s. Suave and sophisticated men's evening attire explained! The exhibit followed the evolution of men's formal garments from appropriate business wear to white and black tie events in the early twentieth century. Traditional elegance came with a set of rules which governed men's formal dress. Visitors discovered what was worn when and how! Do you remember when milk came in glass bottles? Maybe you remember the uniformed milkman, the horse drawn wagon or the Divco dairy truck that delivered milk to your door. The exhibit featured a collection of embossed and coloured labelled milk bottles and other dairy memorabilia. Visitors discovered Oakville dairies of the past and learned about milkmen and their home delivery service. Nearly a century ago, letter writing was the most popular form of correspondence. It was the most effective way to communicate over distances. In war, the voices of those who fight on the frontline, command from an army headquarter or recover in a hospital are often isolated from those who remain at home. This exhibition explored the words of the First World War using memoirs, diaries, letters, songs, poems and art. “Threads of Remembrance,” part of the World of Threads Festival, was a collection of First World War postcards, along with museum artifacts and objects on loan from the community that told Oakville’s involvement in the Great War. Visitors heard the voices of the First World War as people told their stories and interpreted the harrowing events that surrounded them. The event was part of the Hometown Stories: Oakville Memories of War project.